David Ross, the leading owner at Colonial Downs since 2005, earned his 100th win at the track on Day 2 as heavy favorite Jake Rattle N Roll took the sixth race by 1 ¼ lengths. 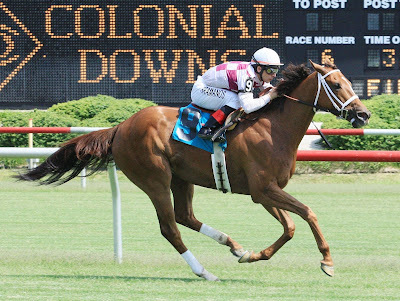 Entering into Sunday’s card two wins short of the milestone, Ross’ Virginia-bred Love Conquers won the third race as the favorite after splitting horses and overtaking pacesetter Wye through the stretch to win by ¾ lengths. In the sixth race, Virginia-bred Jake Rattle N Roll stalked the pace set by Course Lite before taking over that rival in the final furlong to win by 1 ¼ lengths. Both horses are trained by Michael Pino and were ridden to victory by Horacio Karamanos in Ross’ familiar white and maroon silks. Ross has led the owner standings since 2005. His most notable Colonial meets were in 2006, where he led by 17 with his 23 winners, and 2007, where his 24 winners put him ahead by 13. 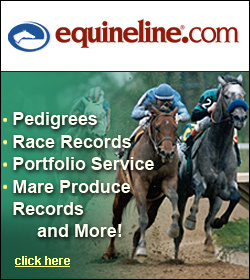 He first appeared on the leading owner standings in 2004.